We craft private adventure retreats in the western states. They are group immersions in nature, mindfulness and experiential play. These are geared for C-level executive retreats or close friend getaways that are purposefully offsite and unplugged, where big ideas happen. The experiences are completely curated top to bottom, with all gear provided and luxury camping with tents, catered meals, and bonfires under the stars. We offer a variety of La Vida Laguna experiences, and customize each retreat to the needs of the group. 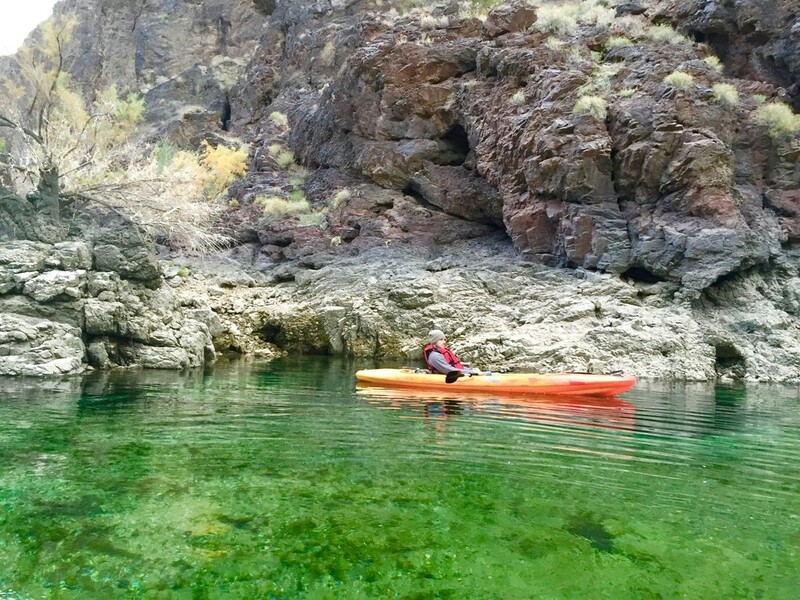 Take a digital detox with your team and a deep dive into nature by canoeing the amazing Black Canyon section of the Colorado River. Conveniently located just outside Las Vegas, but worlds away, is where we start the adventure. 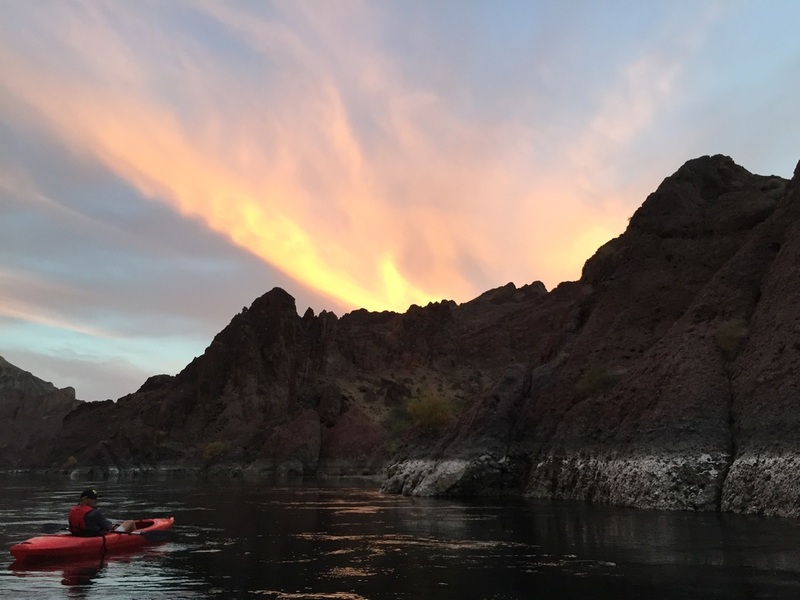 We launch at the base of Hoover Dam – an amazing site - and canoe the lovely, lazy current downriver amongst some of the most dramatic rock outcroppings in the world. Along the way we work as a team to hike slot canyons, ravines and caves. 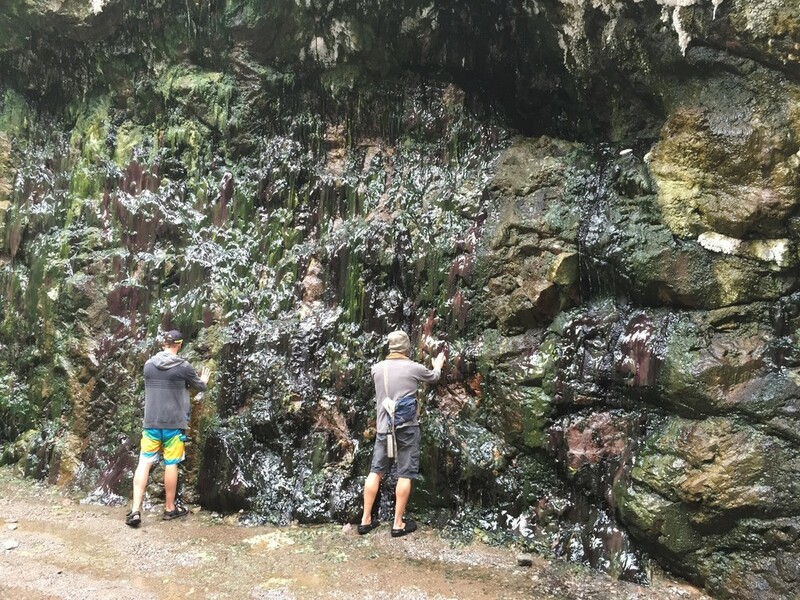 There’s usually a natural mineral hot spring soak waiting for us at the end. 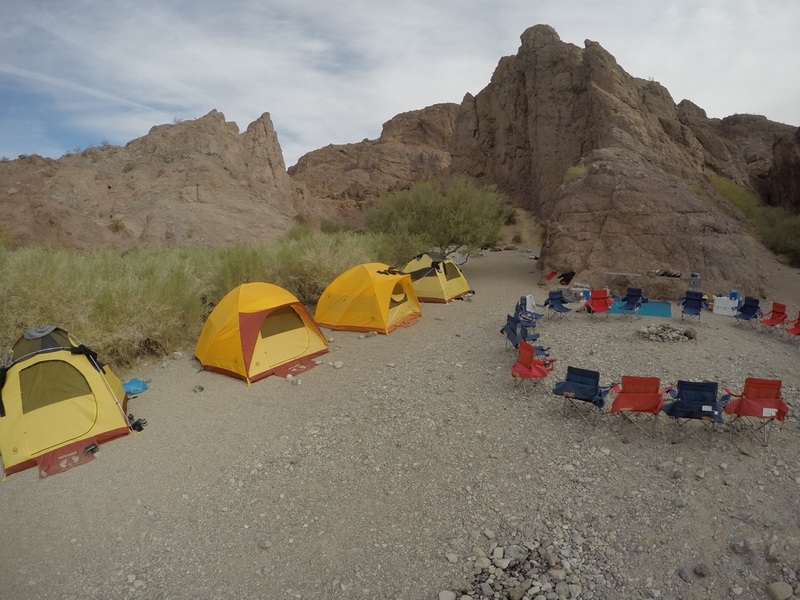 Your camp is elegantly rendered in a sandy canyon, with all your needs tended to by La Vida Laguna staff. Enjoy healthy, gourmet meals and snacks, yoga and mindfulness practices, wilderness challenges and skill building, spear fishing, cliff jumping, campfires, music, drumming, and lots of soaking in the warm, medicinal, mineral rich waters. We can add massage, sweat lodge, sound baths, fire dancers, and other mystical madness by request. Overnight in Boulder City, just outside Las Vegas before Day 1. You don’t need to bring a thing. Just a sleeping bag, clothes and tent. La Vida Laguna does the rest. For more details take a look at the sample itineraries. These retreats are based on 8-25 participants and can be scheduled at your convenience. Spring and Fall are the ideal seasons. Call for details and pricing. This is the ideal, unplugged setting to work through inter-personal development, communication, leadership and problem solving. Or just having a blast with people dear to you. Calm your mind, touch the stillness that is nature, and emerge renewed, refreshed, and with a clarity of mind and purpose.